With an experienced staff, the latest equipment, talented video designers, and a passion for motion, DDA Video™ offers heightened production quality at mainstream prices. DDA’s degreed, professional staff includes writers, graphic designers, video editors, video producers, animators, programmers, photographers, and videographers. 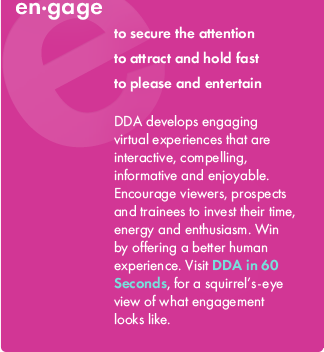 DDA Video™ creates video that transforms straightforward footage into fully immersive experiences. 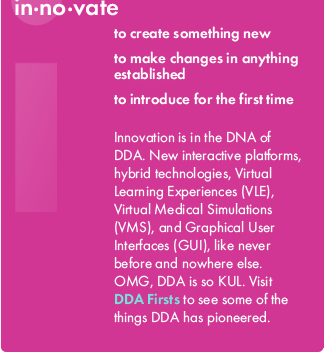 This proprietary multidisciplinary approach, known at DDA as Interactive Integration™, creates dynamic multimedia presentations with a degree of interactivity not seen anywhere else. With DDA’s proprietary Onlivemation™ and synchronous media technologies as examples, presentations can combine real video, animation, and dynamic web and mobile application design. And with DDA Video’s Actors’ Network of 60 professional actors, actresses, and voice-over artists, you can rest assured that you will find the perfect performer to represent your brand. DDA Video’s casting coordinators handle all scheduling and prep work with the actors for on-location and in-studio shoots and recordings. During the filming or recording process clients can provide direction in real-time via a live webcast, allowing for instant feedback to ensure the look, tone, pace, pronunciation, and more are just right. 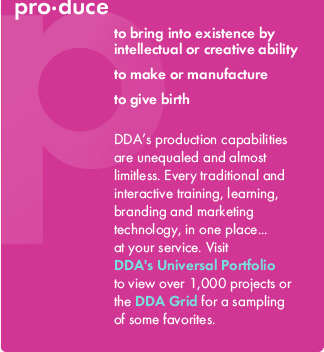 Utilizing a comprehensive, holistic approach to video production, DDA Video™ creates more than just videos; DDA Video™ creates captivating, interactive experiences that engage, entertain, inform, and persuade. 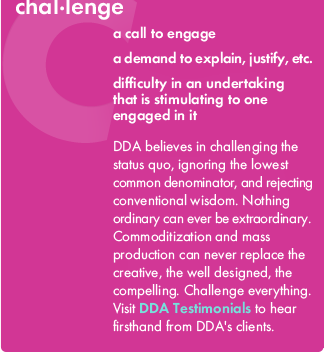 Contact us today to find out how you can delight your audience with services provided by DDA Video™.